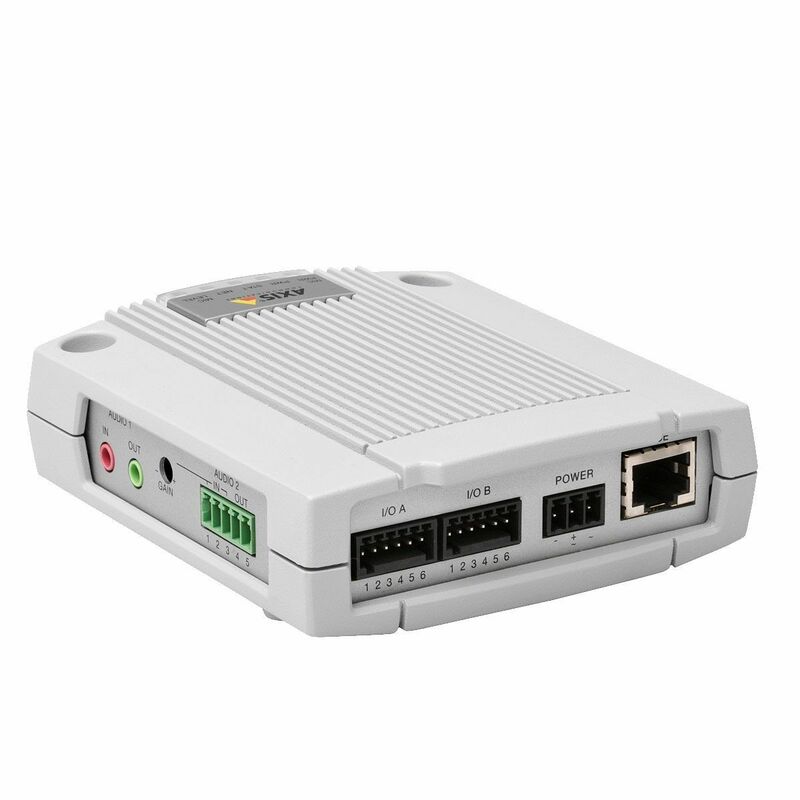 Network I/O and audio module. Eight digital ports configurable as inputs or outputs. Two-way audio configurable to simplex, half or full duplex. Built-in pre-amp, phantom power and gain control for a balanced microphone. Line and speaker output. 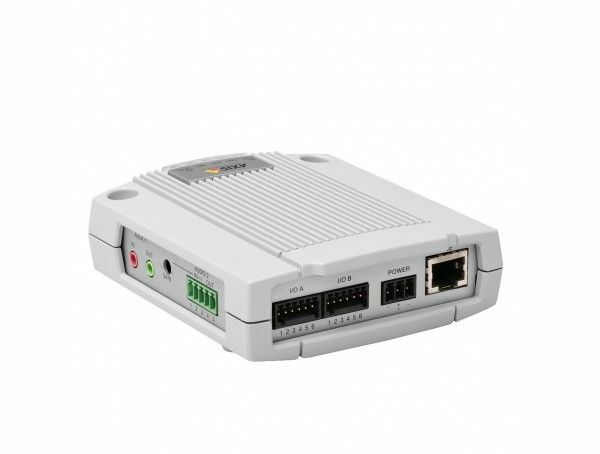 Serial port RS-232/422/485. Power over Ethernet enabled. Includes power supply.